Castle Clinton was originally built in 1808 as a fortification for the New York Harbor. It has undergone various adaptive reuses throughout its history. Its location, the tip of Lower Manhattan in Battery Park, was in close proximity to the original Dutch fort. Between the years of 1808 and 1811, it was called the West Battery.1 The structure was used as a military headquarters in the War of 1812, and renamed Castle Clinton in 1815 in honor of Mayor De Witt Clinton, who served as mayor during the war.2 The United States government ceded the fort to the City of New York in 1824. It was then renamed Castle Garden, and converted into an entertainment center emerging as “a central point of the city’s public and social life.”3 The first demonstration of the telegraph as well as the debut of opera diva Jenny Lind both took place at Castle Garden.4 In 1845, a domed roof was placed on top of the structure. Later, between 1855 and 1890, the structure served as the principal immigration station in the United States, and admitted approximately 8.5 million immigrants.5 On December 10, 1896, the structure was once again altered by architects McKim, Mead & White to serve recreational purposes, this time as the New York Aquarium.6 It was one of the City’s most popular attractions, admitting over 2.5 million visitors a year.7 The Aquarium shut down in 1941, and the fish were relocated to the Bronx Zoo.8 Castle Clinton was designated as a National Monument in 1946.9 The property was then ceded to the Federal Government, so that funds could be allocated for its renovation. Castle Clinton was renovated to its original appearance as a fort and converted into a museum by the National Park Service. After the rejection of the Brooklyn Battery Bridge proposal, Robert Moses reverted back to the original plans of constructing the Brooklyn Battery Tunnel. However, Robert Moses's arguments only galvanized civic support for protecting Castle Clinton. George McAneny, President of the American Scenic and Historic Preservation Society, organized 18 associations in opposition to the demolition of Castle Clinton.25 Pierce Trowbridge Wetter, treasurer of the Greenwich Village Historical Society, filed an injunction to keep the New York Aquarium opened in 1941. 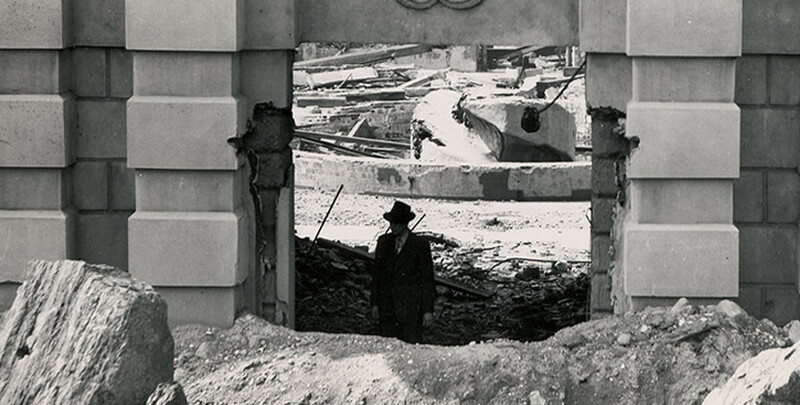 Another injunction was filed in 1942 to prevent the fort's demolition.26 These injunctions bought time in order to garner civic support for its protection. A design competition was initiated by the Fine Arts Federation in order to show that the park could be redesigned with Castle Clinton intact.27 The Architectural League also launched an exhibit illustrating the different historic periods of the fort.28 Carl Feiss, Director of the Housing and Planning division of Columbia University’s architecture school, argued in favor of protecting Castle Clinton, restoring it to its original appearance, and reusing it as a museum.29 Despite the efforts of the community, the Board of Estimate approved its demolition in an 11-5 vote.30 The demolition was postponed due to the U.S.'s entry into World War II. After surrounding Castle Clinton with a fence, Robert Moses claimed that there was nothing left to save of Castle Clinton. 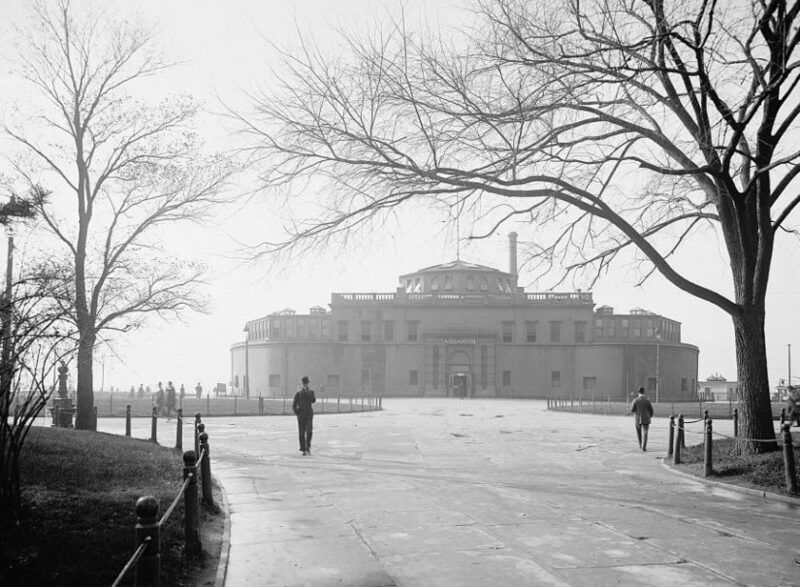 Since the fence walls towering over Castle Clinton and Battery Park were so high, George McAneny convinced Walter Binger to do an official inspection of the site. After visiting the site, Binger discovered that Moses had falsified these claims.32 George McAneny persuaded the New York Herald Tribune to send a plane over the site to take an aerial photograph. The photo was published on the front page of the newspaper. Eventually the State Senate in Albany passed legislation to give Castle Clinton back to the Federal Government. On April 29, 1949, the bill was passed by President Truman and $166,750 in federal funds were allocated for restoration.33 By July 1950 Castle Clinton was officially designated a National Monument. Finding Aid for this collection is available on the Archives of American Art's website. "The Reminisces of George McAneny," a series of interviews held by Professor Allen Nevins and Mr. Dean Albertson, January-February 1949, under the auspices of the Oral History Research Office of Columbia University. Permission to quote or cite from the transcript must be obtained from this office. “Castle Clinton: National Monument: New York: History & Culture,” National Park Service, 4 February 2016. “History of the Battery,” The Battery Conservancy, 4 February 2016. George McAneny, letter to the editor, The New York Times, 19 September 1945. Anthony C. Wood, Preserving New York: Winning the Right to Protect a City’s Landmarks (New York: Routledge 2008), page 56. Staff, “Aquarium Becomes A U.S. Monument,” The New York Times, 19 July 1950. “About the Battery Conservancy,” The Battery Conservancy, 4 February 2016. Anthony C. Wood, Preserving New York: Winning the Right to Protect a City’s Landmarks (New York: Routledge, 2008), page 48. Robert A. Caro, The Power Broker: Robert Moses and The Fall of New York (New York: Alfred A. Knopf, 1974), page 679. Robert Moses, letter to the editor, The New York Times, 24 February 1941. Staff, “Aquarium Safe Until Oct. 30,” New York Sun, 21 October 1941. “Competition Sponsored by the Fine Arts Federation of New York for the Selection of an Alternative Design for the Development of Battery Park,” August 1941, Albert S. Bard Papers, New York Public Library. Anthony C. Wood, Preserving New York: Winning the Right to Protect a City’s Landmarks (New York: Routledge 2008), page 59. “Carl Feiss, a Pioneer of Urban Preservation, Dies at 90,” The New York Times, 27 October 1997. Robert A. Caro, The Power Broker: Robert Moses and The Fall of New York (New York: Alfred A. Knopf, 1974), Chapter 30. Charles B. Hosmer, Jr., Preservation Comes of Age: From Williamsburg to the National Trust, 1926-1949: Volume I (Charlottesville: University Press of Virginia, 1981).